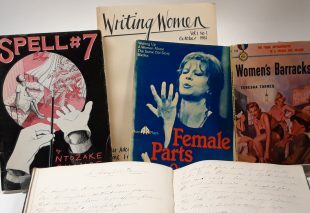 Take a peek at some of our literary treasures, from poetry to pulp fiction at our Women’s Words exhibition. We will showcase celebrated writers from our Open the Door Festival. Scotland’s first ever festival for Scottish women’s writing returns for its third edition, and this time we’re expanding into a two-day event. Expect creative workshops, in-depth discussions, open mic sessions and plenty of performances from the best literary talent this country has to offer. Scotland’s first ever festival for Scottish women’s writing returns for its third edition. Expect creative workshops, in-depth discussions, open mic sessions and plenty of performances from the best literary talent this country has to offer.